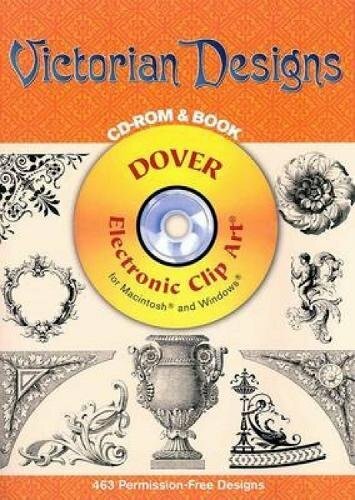 The decorative Victorian designs in the practical CD-ROM and book collection will lend a special charm to almost any art and craft project. Over 400 finely detailed images, selected from a wide range of authentic sources, depict printer's ornaments, stencil patterns, spot illustrations, borders, corners, cartouches, alphabets, scrollwork incorporating human and mythical figures, flowers, leaves, birds, and many other motifs. Included in the set are:One CD-ROM containing 463 high-quality, permission-free images scanned at 600 dpi and saved in six different formats (TIFF, PICT, EPS, BMP, as well as Internet-ready JPEG and GIF)A large-format 48-page book with every image on the CD-ROM printed large and clearly for easy reference.Also included on the CD-ROM is Dover Design Manager, a simple graphics editing program for Windows.Embellished with flowers and leaves, birds and other figures, these crisp, clear motifs — with their delightful period flavor — will be welcomed by commercial artists, designers, and crafters alike. This immensely practical archive of old-time illustrations not only offers a wonderful glimpse of personal items and domestic accessories from a bygone era, it's also an absolute treasure chest of easily reproducible graphic art.More than 900 cuts, culled from rare nineteenth-century periodicals, have been organized in convenient categories: clothes, furniture, kitchenware, toys and games, musical instruments, stationery supplies, and much more. Today's artists, advertisers, and craftspeople can choose from items ranging from fans, corsets, and parasols to a typewriter, feather duster, and high-topped "storm slippers." 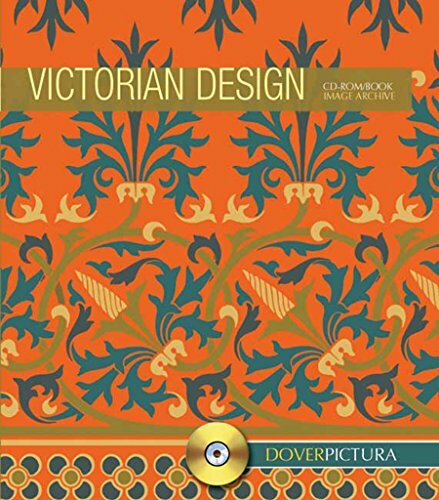 A comprehensive compendium of immediately usable images, this virtually inexhaustible supply of design inspiration will also thrill nostalgia enthusiasts, cultural historians, and lovers of Victoriana. Add a lavish period touch to advertisements, posters, menus — almost any graphic project — with the 865 superbly drawn, black-and-white capital letters in this lovely collection. Reproduced from authentic Victorian sources, the designs include simple, striking initials alongside more fanciful ones embellished with flowers and leaves, animals, birds, cherubs, humans, and allegorical figures. Selected from a rare Victorian sourcebook, more than 280 stunning designs dance before the eyes and feed the imagination. Reflecting a wide range of styles, from Gothic and Victorian to Medieval and Renaissance, this enormous variety of ornamentation features hundreds of designs from wallpaper patterns, columns and pilasters, curtain arms and window blinds, doorknockers and bell pulls, wine glasses and key handles, consoles, and chair backs. 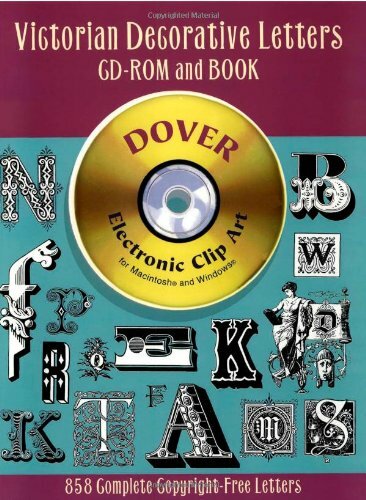 A virtual paradise of patterns and motifs, each crisp illustration is royalty-free and ready-to-use.This book includes a CD-ROM containing 286 royalty-free images scanned at 600 dpi and saved in six different formats (TIFF, PICT, EPS, BMP, as well as internet-ready JPEG and GIF). 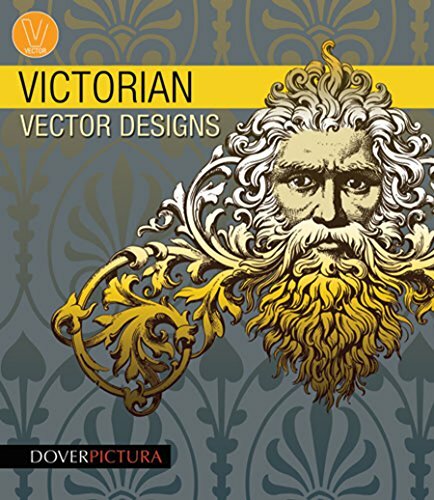 Lavish examples of Victorian design include florals, borders, patterns, and decorative motifs — all reproduced directly from authentic 19th-century sources. Ideal for design inspiration or direct use in art and craft projects. 226 full-color and 113 black-and-white designs. Looking for intricate scrollwork for a poster or newspaper ad? Need an ornate floral design for your decoupage project? 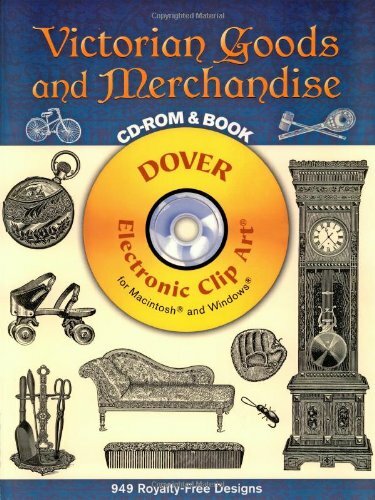 You'll find images for these activities and much more in this CD-ROM and book set. Choose from lavish, crisply printed Victorian borders, rococo extravagances, curlicues beyond description, as well as ornaments ranging from rosettes, floral sprays, and interlaced vines to recumbent lions, lovely ladies, and innocent cherubs.Commercial artists, craftworkers, and designers will welcome these motifs for their delightful period flavor. 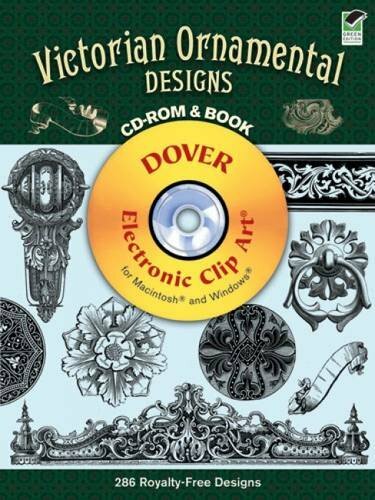 Lovers of Victoriana will treasure the imaginative designs. 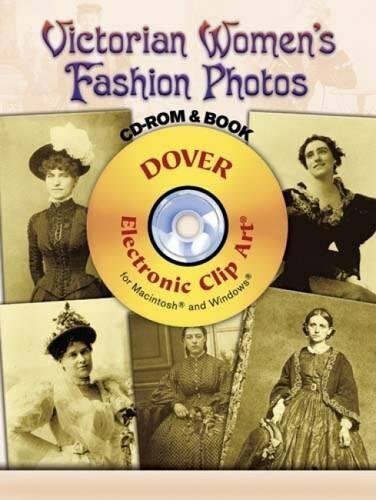 Features 379 beautifully rendered, black-and-white fashion illustrations from Godey's, Harper's Bazar, and other period magazines: mid- to late-Victorian walking dresses, ball gowns, cloaks, shawls, and capes, as well as hats, shoes, parasols, handbags, and other decorative accessories. 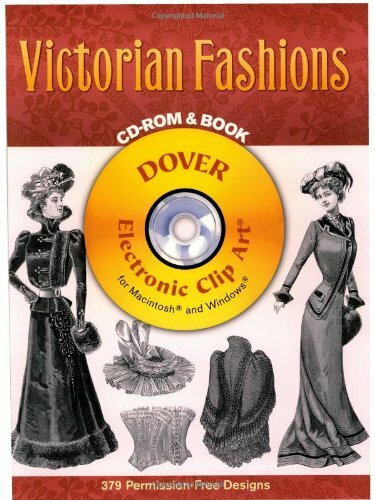 A valuable reference for designers, illustrators, and costume historians. "...superb resource." — History in Review, March 2005. 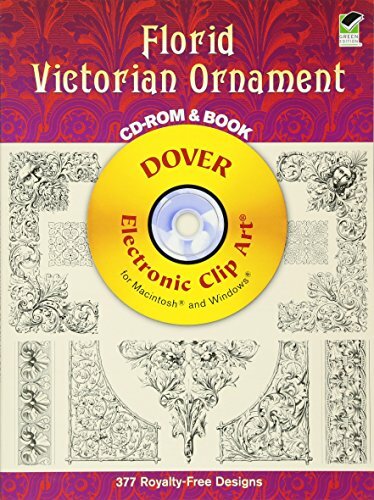 Looking for more Victorian Clipart similar ideas? Try to explore these searches: Tea Press Teapot, Cast Iron Scroll, and The Chipmunks.